Urinary incontinence is common amongst Chinese immigrants. These women are a rapidly growing population in the USA who require unique assessment tools due to language barriers. Presently, there are no Chinese language surveys to assess knowledge of urinary incontinence. Our goal was to translate and validate a urinary incontinence knowledge survey from English into Chinese. 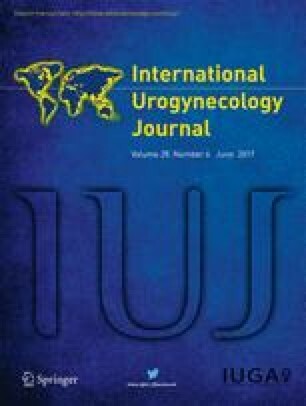 The English language Urinary Incontinence Quiz (UIQ) developed and validated by Branch et al. for the Educational Demonstration of Urinary Continence Assessment and Treatment for the Elderly program assesses general knowledge of urinary incontinence as a disease entity. We translated it into Chinese using the forward translation/back translation technique. The Chinese and English versions were then administered to bilingual volunteers in a nonrandomized order during a single encounter. Their responses were analyzed using Cohen’s kappa coefficient to establish the validity of the translated knowledge survey. Minimal reconciliation was needed in construction of the Chinese survey. Minor English grammatical corrections were made to the back-translated English survey. One question testing two knowledge concepts was separated into two questions to allow clear testing of both concepts individually. Twenty-one bilingual participants performed the validity testing. Over 50% (8 out of 15) of the questions showed nearly perfect agreement with a kappa coefficient >0.80, 5 out of the 15 questions showed substantial agreement with kappa coefficients between 0.61 and 0.8 and two questions showed moderate agreement with kappa coefficients between 0.4 and 0.6. We validated a translation of the UIQ for assessment of urinary incontinence knowledge in Chinese-speaking immigrants to the USA. We would like to thank Minghua Zhu and Weiguo Zhang for their time and effort in the translation process. Rujin Ju, Joanne Garrett, Liping Feng, Michael Heit: none. Nazeema Siddiqui: research grant from Medtronics Inc and funding from National Institute of Diabetes and Digestive and Kidney Diseases (K12 DK100024). The Rise of Asian Americans. Pewsocialtrends.org. 2012. http://www.pewsocialtrends.org/asianamericans-graphics/chinese/. Accessed 21 August 2016. US Census Bureau. In: Vintage 2009: National Tables. Available at: http://www.census.gov/popest/data/historical/2000s/vintage_2009/index.html. Accessed 19 August 2012. CDC Translation Protocol Appendix 2. In: Center for Disease Control Translation Protocol. http://www.cdc.gov/nchs/data/washington_group/meeting6/appendix2_translation.pdf. Accessed 1 June 2016. Jing W, Likun G. China to regulate use of simplified characters. 2009. http://news.xinhuanet.com/english/2009-08/12/content_11871748.htm.